Restaurants, bars, cafes, corporate offices, event management companies, health care centers, hospitals need server quality water to the visitors. They cannot rely on the third party for the mineral water supply for a long time. They need to look for a company that provides quality installation of the plant. Now there are various factors that should be considered in measuring the quality of the mineral water. 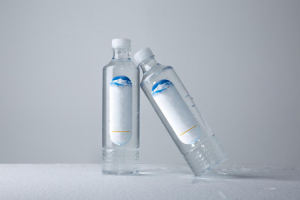 In the mineral water business, along with the process of purifying water, the packaging also plays a crucial role. So checking the quality of the plastic used in the packaging also matters. Many institutions and companies prefer to install their own mineral water plant. If you are looking for such a company, here are a few things that you should keep in mind. The best thing would be to go through the previous mineral water plant project report. This will give you a proper idea of the whole process. Along with the process, you can also check other details including the estimation of time and cost. Choosing a company that has a rich industry experience is recommended. Such companies can easily understand the requirements of their clients and cater to it accordingly. Not only they provide services, but also give valuable suggestions that can help you to reduce overall cost ensure error-free mineral water supply. Along with the experience, the company has to be familiar with using advanced technology as per the industry’s standards. This expertise enables them to provide excellent quality service to their clients, renovation, rectification, and upgradation are one of them. It also needs to ensure that the company has strict measures of quality control. One has to ensure that whether the company has adequately engineered part of the plan using modern technology or not. The planning and execution also have to be perfect. If the company is not providing up to the mark after-sale service, then it might create problems in the future. Whether you are looking for water treatment or you need to solve a technical error, if such issues are not addressed on time then it leads to loss of time and money. So before making the final decision, it is essential to find out whether the company has a reliable customer support service or not. If you have time and resources, then you should opt for a market survey. It will prevent you from making any false decision. When you have clarity about the required quality and the cost of the mineral water plant, you can find the best deal. There is no need to go with the cheap offer, and there is also no need to give away a massive amount when the installation can be done at the right price. You can surely compare the estimate given to you by a number of companies. When you plan for the mineral water business, you should take all these factors into consideration to ensure that you get the best solution. Experience of the company, cost of the project, technical expertise, after sale service, and quality control abilities should be taken into account. This entry was posted in Mineral Water Plant Setup and tagged cost of mineral water plant, mineral water business, mineral water plant project report, mineral water project report on January 29, 2019 by Bottling India. A paramount base to start a business is to invest in something that everyone requires every day such as water. 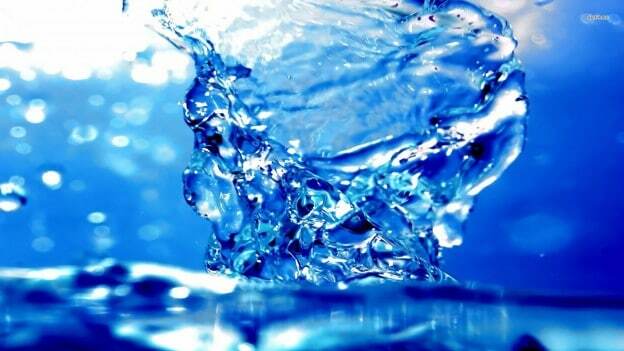 The shortage of water has resulted in the growing demand for purified water all around the world. In India, numerous mineral water business holders have placed their water plants at different locations. You too can materialize your dreams with water plant as a startup business. For better understanding, let’s check out the below benefits of owning a water business. As we already know, water is essential for living and the continuously growing population has resulted in a bigger demand for water. There’s not even a 1% grocery store in India where you won’t find water bottles. Moreover, water pollution plays an important role why people are spending a few bucks extra to drink clean and healthy water. To total cost of mineral water, the plant is compensated with every day selling water bottles. Therefore, increasing water demand is the biggest reason to start your water plant for greater profit. The amazing part of placing a mineral water business is that the raw material, which is the water, is available for free. You can find non-drinkable water anywhere easily without spending a single penny on it. All you have to do is just drill down the water, place a borehole, and the constant water supply to your plant is what you can expect to have. Labels, caps, and bottles are the only material you need and you can easily find it in the marketplace. The big amount you are going to invest in the initial set up cost only and you will earn a huge profit in the long-term period. Hence, the possibilities of a higher profit are there in this business. So, go for it and get the most out of water plant business. It’s obvious that you would need a huge team of employees on the upper and lower level. Therefore, the people of the local area will have this opportunity to work at your plant and improve their livings. 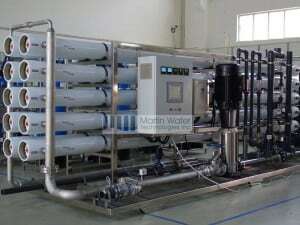 However, a large portion of water purification involves a lot of machine work but there are a few tasks that cane done manually. Cleaning, sanitizing the bottles, loading water into the vehicle, and distributing it to the stores are the tasks that require manual work. Additionally, it requires a person to generate mineral water plant project report for you. Therefore, starting a water business is not just for you but also for those who are seeking one chance to earn money. There was a time when people used to drink normal water from their taps. The big fat industrial area has resulted in the involvement of toxins into the water. 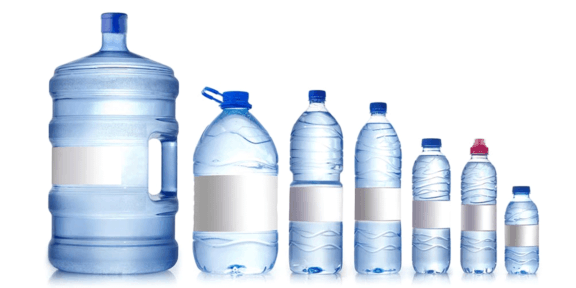 Various diseases like dehydration, thyroid, and obesity are the reasons why everyone is switching to bottled water. 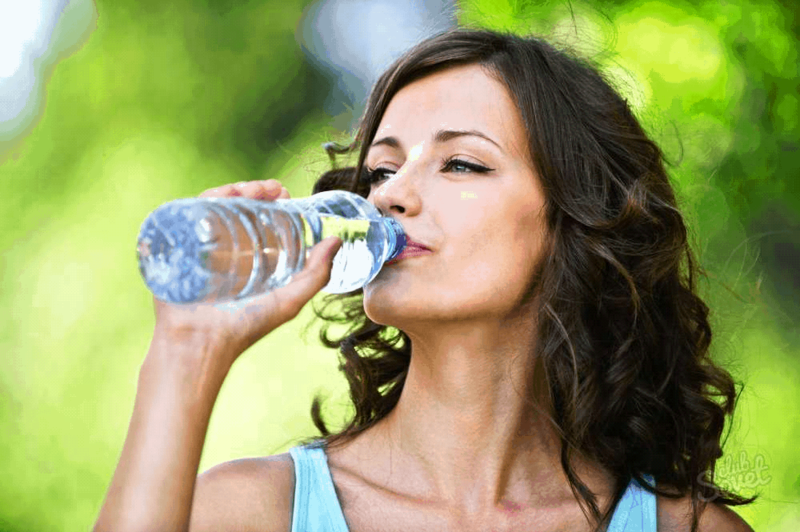 In order to avoid such diseases, people are using mineral water to stay healthy and hearty. Hence, you are providing a better living style to the nation. One must have a plan on the side before making a decision to start your mineral water business. It is necessary to get familiar with every norm of establishing a business. So, whenever you decide to get started with your water plant, make sure that everything is at its place so that you don’t face any issues in the future. This entry was posted in Mineral Water Business and tagged cost of mineral water plant, mineral water business, mineral water plant project report, mineral water project report on July 5, 2018 by Bottling India. What Goes Into Establishing a Mineral Water Business? Water is the most essential resource for sustaining life. It is known that the 70% surface of the earth is covered with water. But, only 2.5% of that water is fresh. Obviously, that is not an ideal situation in any case. The need for fresh and drinkable water is on a rise, thus the need for mineral water plants. These plants help process impurity ridden water through a number of stages until it becomes fit for drinking. So investing in mineral water business is not a bad idea, as the demand for mineral water is more than ever which, in turn, will bring you benefits manifold. Contemplating about how to start a mineral water business? Do not worry, we have got you covered. * Market Research: First things first! Whenever thinking of starting a mineral water plant, you need to start with a market research. And, owing to the complexities of the project, it is always better to seek professional help. Market research will help in knowing the cost of mineral water plant, the resources required and the area perimeters one would require to set up a mineral water plant. It is advised to outsource a mineral water plant setup company so that you can get through the process in an easier and a convenient way. * Devising A Business Plan: Next comes the business plan. This plan incorporates the costing requirements, the resource requirements, the marketing strategy, and the equipment costing requirements, staff requirements, management plans and deciding upon the location where you wish to start your mineral water plant. * License and Permit: Obtaining a license is the most important part of starting a legalized mineral water plant. You need to take permits from your state’s authority in order to start an uninterrupted business. * Look for an Equipment Supplier: The equipment required to set up a mineral water plant must be efficient and with in-built up-to-date technology. Thus looking for reliable and reputed suppliers becomes important. 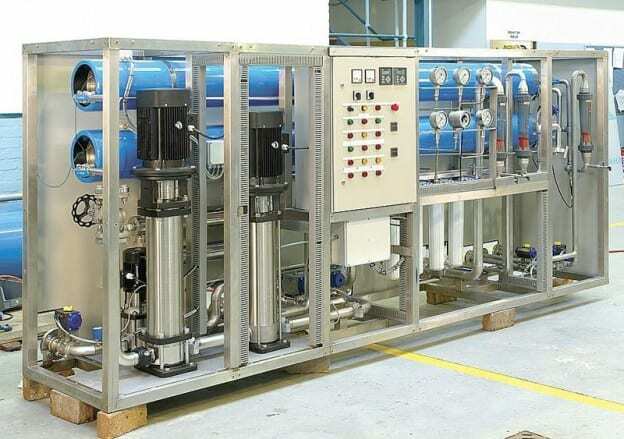 An array of equipment is required to set up a mineral water plant such as generators, purification systems, filters, tanks, conveyors, water disinfectants, bottle loaders, capping systems and even water filling machines. Outsourcing an equipment supplier becomes important so that all your equipment can be incorporated and servicing can be done easily without any issues. Also, an equipment supplier would submit the mineral water project report, which would include everything from the structural outline of the project to the maintenance needs of the equipment installed. * A dedicated Staff: Staffing is another important requirement for starting a mineral water plant. Staff in innumerable numbers is required for proper functioning of a water purification plant. Post the appointment, the staff needs to be trained as well so that they can perform their respective duties effectively as well as efficiently. * Marketing: Once your facility has been established and everything is in place, you need to do marketing, so that your packaged water can make its place in the market. Go with advertising your product on TV or in newspapers in order to increase your sales and profits in the coming time. Looking at what goes into establishing a mineral water business, you must be aware by now about the process and the requirements needed to initiate a business plan. Go through all the requirements in detail before kick-starting your mineral water plant business, so that you can toil through an organized plan to make things work out. This entry was posted in Mineral Water Business and tagged Cost of the mineral water plant, drinking water plant cost, mineral water business, mineral water plant cost, mineral water plant project cost, mineral water plant setup, mineral water project report, water purifier plant cost on June 4, 2018 by Bottling India. When thinking about starting a new business venture, there are a few important questions that you need to answer. * How much is the initial amount I need to invest? * Where and when I am going to establish my new business? * What are the risk factors? * What is the profit margin? * How to minimize these risk factors? * How much is the return on investment? * Who is my target market? You have to find answers to these important questions before you even start in your planning process to make sure everything is ironed out and will run smoothly as well as to minimize your risks to errors and mistakes. One best way to do this is to do a thorough research first, check the current mineral water plant project report, and seek advice from a professional business consultant. Let us discuss some of these questions below. How much is the initial amount I need to invest? The initial amount that you need to invest in the cost of mineral water plant depends upon the size and the type of the plant that you want to establish. You may want to build a small water bottle filling station or a full-scale water plant that produces water in pouches, bottles, and jars. Water purification plant cost normally includes the cost of machinery and equipment. Aside from the plant cost, you also have to invest for the construction and interior cost, ISI consultation cost, ISI License & other Government License expenditure, cost of utilities, and bottles and packaging cost, among others. There are many ways your business can go the wrong way. Some of the primary risk factors, though, are mismanagement, supplies related issues, lack of proper documentation, the absence of proper planning, wrong marketing strategies, and hiring the wrong person or doing everything on your own. How to minimize these risk factors? How much is the return on investment? Based on the latest mineral water project report, a typical mineral water business can have as much as 30% annual return on investment or ROI. That only means that you can be able to earn back your initial investment is as early as 3.5 years, provided that your business runs smoothly. Where and when I am going to establish my new business? Today is the best time to establish your new mineral water plant business. As for the location, you need to pick an area that is accessible and easy to reach. If possible, look for areas where there is a scarcity of clean potable drinking water and where people need to travel a few kilometers just to buy bottled mineral water. An area with only a few water refilling stations with large target market is also a nice location for a new water plant business. This entry was posted in water purifier plant and tagged cost of mineral water plant, mineral water plant project, mineral water plant project report, mineral water project report, water purification plant cost on March 13, 2018 by Bottling India. If you are looking for business opportunities in India today, you can try investing in a mineral water plant project. Due to the consistent increase in demand for safe drinking water, the mineral water business has exponentially increased over the last few years. If you want to start your own water plant, make sure to take note of these common mistakes. 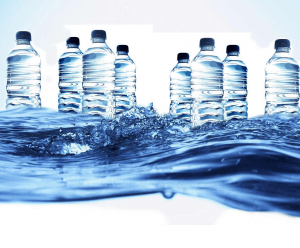 Mineral bottled water is one of the most lucrative businesses in India today. According to the latest mineral water plant project report, the mineral water industry has exponentially increased over the last few years and it is projected to continue to flourish in the next couple of years. 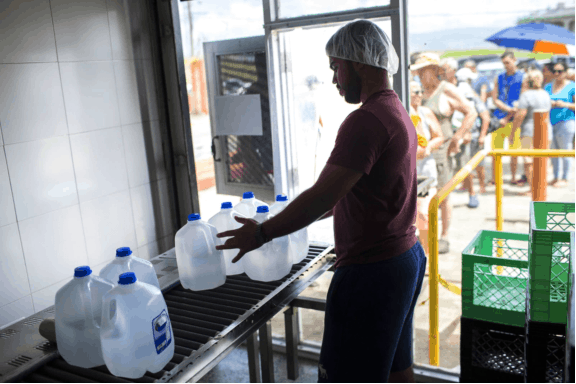 One of the main reasons behind this progress is the continuous increase in the number of demands due to the widespread awareness about the importance of drinking potable water and the risks of consuming contaminated and unhealthy water. If you are looking for a good investment, you can start building your own mineral water plant project. But before you start your own business, take a look at some of the major mistakes that many new players in the industry committed. Planning is one of the most important steps that you should not take for granted. Many new mineral plant owners leave planning and everything related to putting up a new water plant in the hands of their supplier which should not be the case. You need to remember that proper planning is the key to success. Without the right plan, you will be like a kite without a string that just flies wherever the air takes it with no specific direction or destination. Although this can fall under the market research section, choosing the location should not be taken lightly. Some new investors build their own mineral water plant within their vicinity because the location seemed to be more convenient for them without considering their market. For any business, location is everything. Make sure that you choose a location that has great customer base potential and is easily accessible to your target market. This is the most common mistake that new mineral water plant owners commit. Before finally coming up with a final decision, try to find some potential suppliers for all your water plant needs first including the machinery and supplies. Choose one from your list based on your preferences and requirements and then arrange an agreement with them. Never start with your business unless you have a reliable supplier. If you want to increase your chance to thrive in the ever competitive mineral water industry, you should make sure that you offer the type of products that your target market wants and needs. For instance, instead of producing only a 500ml bottled mineral water, you can go mix your products and come up with other variations. Aside from bottles, you can also offer pouches or jars. If you don’t want to enter the battlefield caught flat-footed which can result in great losses, you better do something to prepare yourself for the real world fight. And this is also true when it comes to building your own business. One of the important steps that you need to bravely take for a successful business is to study the business and your market first. Whether you are opening a one-man store or building a huge corporation, you need to carry out an extensive market research first. You don’t have to hire a topnotch agency for this as you can do this by yourself or with the help of your staff. This entry was posted in Mineral Water Plant and tagged mineral water plant project, mineral water plant project report, mineral water project report on December 4, 2017 by Bottling India. Why Should You Invest In Drinking Water Plant Business? 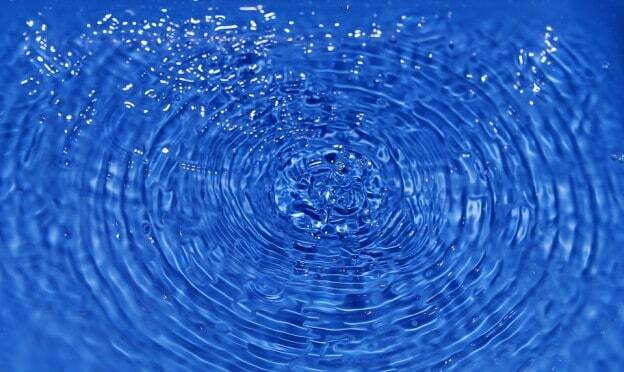 The water production business is known as one of the most profitable businesses today. If you are dreaming about starting a drinking water plant business in India, now is the best time for you to materialize your dream. Here are a few reasons why you should invest in a drinking water plant business. Nowadays, most people living the city or even in villages in India prefer drinking purified mineral water over tap water because of a variety of reasons. One of the primary reasons is that bottled mineral water is safer than tap water. Many people in India are now getting aware of the negative effects of drinking contaminated water to their health and wellness. They are now becoming more watchful in what they drink and eat. Water is one of the main carriers of different kinds of ailments especially of water-borne diseases such as guinea worm disease, dysentery, typhoid, typhoid, and other types of diarrheal diseases. 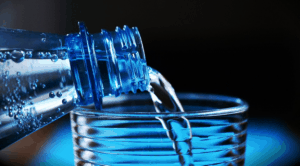 The increasing awareness in health consciousness among Indians encourages people to stay on the safe side by drinking only bottled mineral water. Everyone needs water and no one can’t live without it. Water is essential for survival. 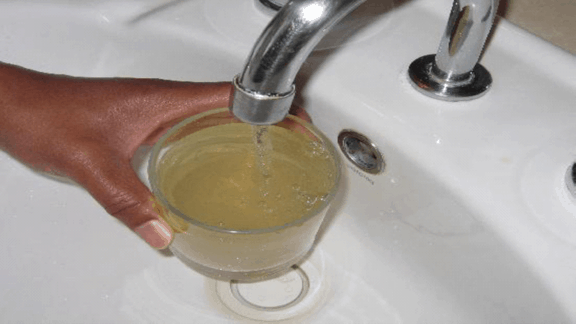 With the continuous growth in the number of people who are getting aware of the health risks of consuming dirty water, people are now more willing to spend a little more for safe drinking water than to save a few Indian rupees by consuming unsafe tap water. A drinking water plant business is very profitable because the demand for bottled mineral water is constantly increasing day after day. The drinking water treatment plant cost greatly vary according to the size of the plant you are planning to put up. The good thing about this type of business is that the raw material which is the water is readily available for free. You just have to drill and set up a borehole and you can expect a steady and free water supply for your plant. The other production materials you need like labels, bottles, and caps can easily be found in the marketplace. Although you need to invest thousands of Indian rupees for the initial drinking water plant project cost, you will enjoy high-profit margin, in the long run, thus making this type of business very lucrative. Aside from the high profit margin, what makes this business so fulfilling is the fact that you can open employment opportunities in your locality. It is so fulfilling to help other people earn a decent income for their own families. Although a large portion of the bottled water production process involves machine works, you still need some manual labor. You cannot run a mineral water plant alone. You will need help from a few people to keep your business run smoothly. Among the tasks that require manual works are cleaning and sanitizing the containers or bottles, loading the distribution or delivery trucks, distributing the finished products, operating the machines, quality control, and more. This entry was posted in blog and tagged drinking water plant, drinking water plant project cost, drinking water treatment plant cost, mineral water plant project report, mineral water project report, packaged drinking water, packaged drinking water plant on October 25, 2017 by Bottling India. How Much Is the Mineral Water Plant Setup Cost? Establishing a new mineral water plant requires a lot of research as well as careful planning and budgeting. One of the most critical things that you need to deal with when setting up your own plant is the mineral water plant setup cost. This cost varies according to various factors which include the type, size, capacity, and location of mineral water plant as well as the other expenses like government licensing and ISI licensing expenditures. One of the major factors that you need to consider when you are planning to establish your own mineral water plant is the cost. As with other types of businesses, setting up a new water plant takes careful planning and budgeting. The mineral water plant setup cost greatly varies based on various factors like the geographical conditions of the location, size and type of the water plant you want to establish, and the current condition of your water source. Mineral treatment and water purification entail more than just removing the unhealthy elements and toxic chemicals from the water. Depending on the quality of the water source, you may need to add curative and medicinal value or minerals to the water to ensure that it is potable and is healthy for the consumer’s body. This factor will also help you determine how much you would need to invest for the mineral water plant project. What type of plant should you establish? 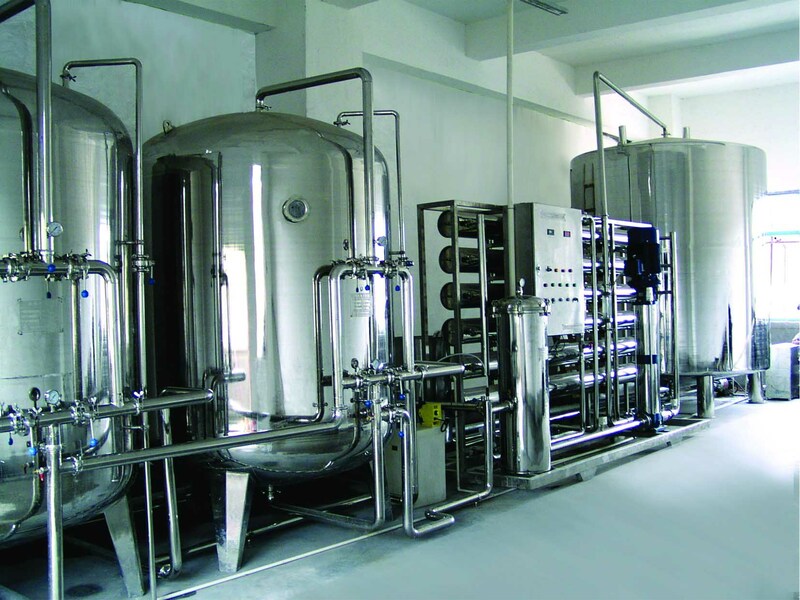 In India, there are three basic types of mineral water plants to choose from: the 2000 LPH standard plant, the 2000 LPH economy plant, and the just jars plant. Each of these plants differs in many ways most especially in terms of size and capacity. 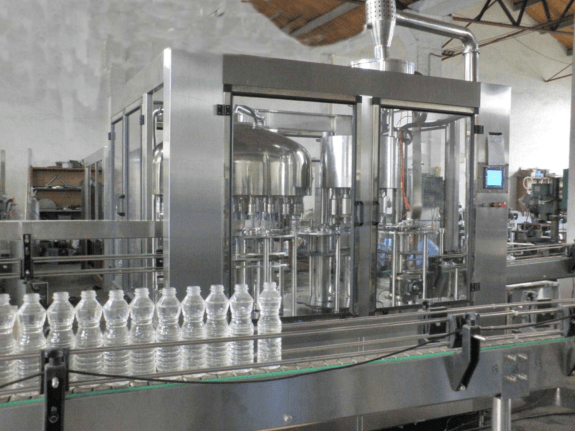 – The 2000 LPH standard plant includes bottle making machine. If you want to produce water in bottles, jar, and pouch, you may opt for 2000 LPH standard plant. For the manpower, you will need at least 7 workers and 3 managers. 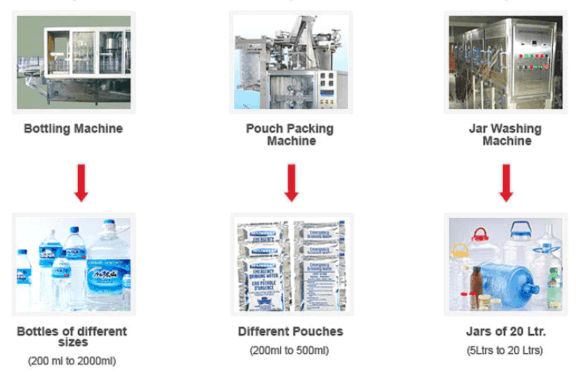 Among the machinery you need for the standard plant are the bottle blowing unit, water treatment plant, pouch packing machine, bottle filling machine (30 BPM Auto), and ink jet coder. – The just jars plant includes merely 20 liters jar filling line. For the manpower, you will need at least 5 workers and 1 manager. Among the machinery you need for the just jars plant are the water treatment plant and the auto jar rinse/fill/capping machine. Choosing the type of mineral water plant greatly depends not only upon your budget but also upon your target market. That is why it is highly recommended that you ask help from a professional consultant and researcher before starting your own water plant. Based on the mineral water project report of the researcher and/or consultant, you can be able to know what your target market wants and needs. This entry was posted in blog and tagged mineral water plant project, mineral water plant project cost, mineral water project report, water plant setup on September 14, 2017 by Bottling India. Today’s water is no longer as safe or potable as before. Because of the industrialization of the modern times, the air, water, land, and other significant elements are getting polluted and contaminated. For a safer option, people now prefer to drink bottled water. Needless to say, water is one of the most significant elements on Earth essential for survival not only of mankind but also of animals and plants. Drinking water should be potable and free from any forms of harmful chemicals, bacteria, and other impurities. However, in some cases, water becomes the cause of illness and death most especially in places where the water sources are toxic or too much polluted and are untreated. Finding water in its purest form is now getting more and more challenging. Unlike a couple of decades ago, today’s water sources are no longer hygienic. The water that we get from our faucet, drilled deep well and other sources is not any more safe for drinking. Thus, it is highly recommended to purify the water and make sure it is potable before we even think of drinking even half a glass of it. But not all people have the luxury of time and resources to exert effort on purifying their drinking water from time to time. Thanks to the availability of mineral or packaged drinking water that is now available almost everywhere in the country. 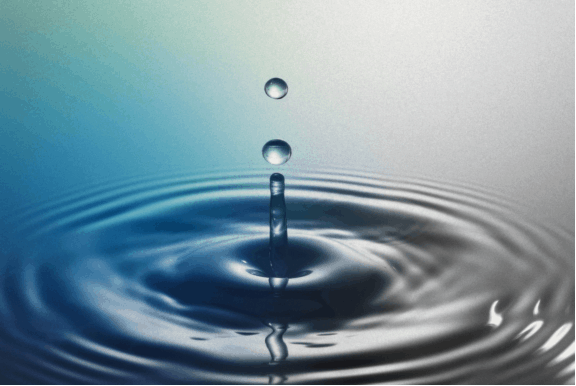 What is mineral drinking water? 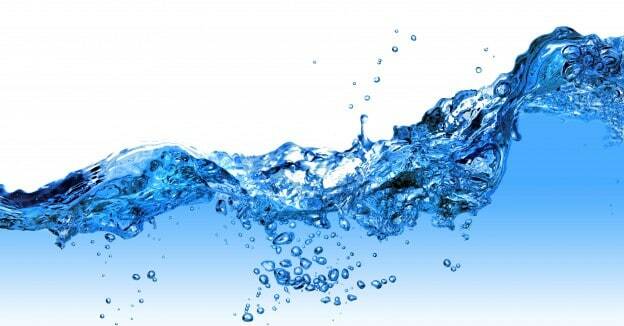 Mineral drinking water is a potable water commercially purified and fortified with the required amounts of essential minerals like Manganese, Iron, and Barium. They are being manufactured and packed under strict hygienic conditions in clean and sterilized bottles or containers. Purified or mineral water are generally taken from natural resources such as drilled deep wells and spring and it can also be artificially fortified through adding mineral salts on water. This is one of the reasons why most of the mineral water plant setup are located nearby the natural water sources to ensure there is an enough amount of water supply for the production of mineral water. Why should you invest in a mineral water plant project? The supply of safe and potable drinking water becomes more insufficient day after day. You can not just get your glass, fill it water from your faucet and drink it right away. You never know how much harmful chemicals, toxic substances, and pathogenic micro-organisms are present in such glass of tap water. Drinking contaminated water can be extremely harmful to your health and can make you to get infected with water borne diseases like guinea worm, water borne worms, polio, typhoid fever, diarrhea, hepatitis, cholera, and schistosomiasis which cause an average of 3.4 million deaths per year. In order to get rid of water borne diseases and to make sure that they are drinking clean and potable water, people prefer to choose to use mineral water for drinking purposes. 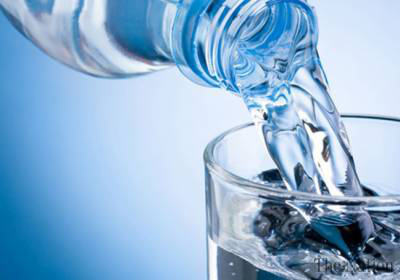 As more and more people realize the significance of drinking safe, clean, and purified water, the demand for mineral water is continuously increasing most especially during summer season. Is it worth the mineral water plant project cost? 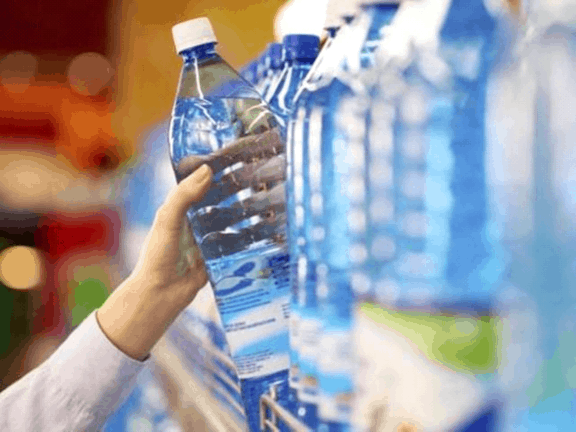 According to the recent mineral water project report, in spite of the number of mineral water manufacturers in India, the demand is still increasing while the supply is not always enough for everyone. The mineral water industry is undoubtedly booming. This makes a mineral water plant project a viable business and a good investment. And because mineral water is one of the fast moving products in the market today, you never have to worry about whether this project is worth it all or not. This entry was posted in blog and tagged mineral water plant project, mineral water plant project cost, mineral water project report, packaged drinking water on September 4, 2017 by Bottling India. Investing in a mineral water plant project today is a very wise move you can take. 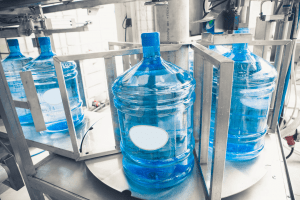 However, before starting your new business, you should first take a look at some of the important things that you typically need when setting up a new mineral water plant. People living in the city and even in villages in India now prefer to use mineral water. 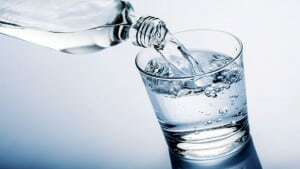 As opposed to the regular tap water, mineral water is safer to drink and is likewise better for the health. As the time passes by, people are getting more and more health conscious. The consumption and demand for bottled mineral water increase in a constant pace making it a viable option for many local entrepreneurs who want to start a new business in their locality. But knowing all this information alone is not a sure fire to make your mineral water plant project a great success as there are still a lot more important things that you need to consider before finally starting it. The nature of an R.O. plant business is quite complex and you need to seek advice from experts to make sure everything will go well. In the meantime, here are some of the things that you need to consider before starting an R.O. plant. Market research is a critical step to starting a new business. 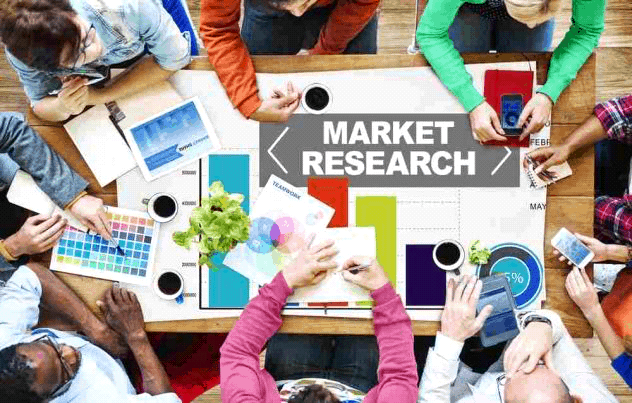 Through market research, you can be able to gain perspective and get informed of all the significant things involved in this kind of business. This allows you to set realistic goals and to undertake decision making to the best of your ability. Things like the needs and demands of your target market, mineral water plant cost, as well as the packaging that you should focus on can be best identified through market research. 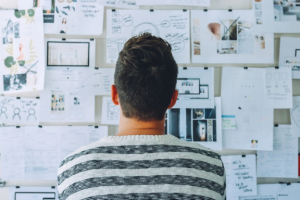 Once you are done with the market research, the next important step you should take is to come up with a profitable but realistic business plan. The business plan will serve as the framework and the compass of your business. It should include a sound marketing strategy, management team, staff pattern, legal procedures, business location, financial projection, suppliers and equipment, and all other important matters involved in running a mineral water plant. You can’t operate without a business permit and a license. You can ask your local government for the necessary documentation that you need to comply with the permit and license. 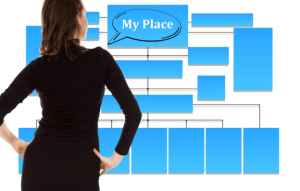 For a startup business, location is vital. Select a location that is easily accessible to your target market. Not only that, make sure that the location has enough water and energy supplies. Also, make sure that the provisions for the production area and office area are separate. The next thing to consider is to get the bottle supplier and the supplier for the necessary accessories, equipment, and machinery. 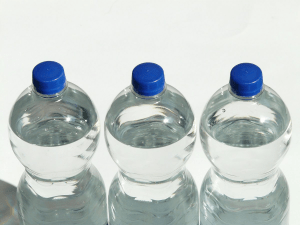 Make sure that bottle supplier can supply you with the required number and types of bottles needed for your water plant. Pick the supplier who is a certified International bottled water association member. For the accessories, equipment, and machinery, you can choose to get a long term lease, to rent, or to buy them depending on your available funds. Usually, a long term lease is the best option especially if you are still starting. Among the necessary accessories, equipment, and machinery you need for your mineral water plant are storage tanks, water dispenser, water sterilizers, water refilling machines, bottle loaders, generator set, conveyors, water treatment machines and filters, sealer, and delivery trucks. 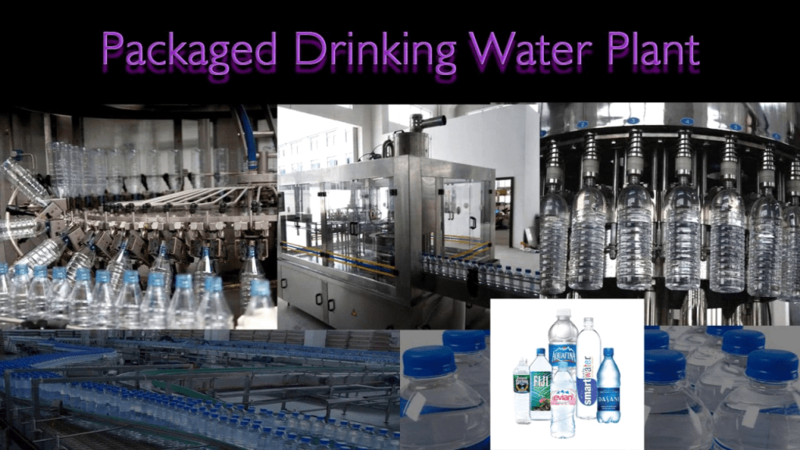 This entry was posted in blog and tagged drinking water plant, mineral water plant, mineral water plant cost, mineral water project report, packaged drinking water, ro plant cost, water purification plant cost on August 16, 2017 by Bottling India.